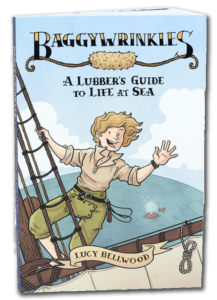 I’m Lucy Bellwood, a professional Adventure Cartoonist based in Portland, Oregon. I’m happiest when I’m translating the world into infectiously enthusiastic, vulnerable, educational stories for my readers to enjoy. 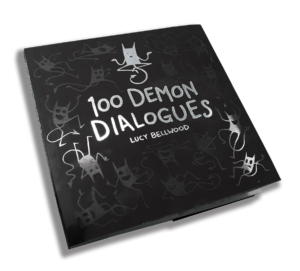 My latest book, 100 Demon Dialogues, is all about cohabiting with a petulant (if oddly lovable) Inner Critic. If you’ve ever felt like a fake or a failure, it will absolutely make you feel less alone. I’m a big fan of telling the truth—especially about the stuff we’re scared to discuss. I’ve explained what it feels like to be on food stamps while “making it” as an author. I’ve shared exactly how much money I made from going viral, along with annual reports about my income and expenses as an independent creator. I’m also a three-time successful Kickstarter creator, and I want to make sure people can find out exactly how I did it. The only way we get through this is together. I’ve drawn comics about rafting through the Grand Canyon (twice! ), learning to feel strong, crossing the Pacific on an oceanographic research voyage, exploring the feminist undertones of social dance and the dregs of breakup baggage, sailing aboard the last wooden whaling ship in the world, never wanting to make it big in Hollywood, and trying out a sensory deprivation tank for the first time—among many other things. You can browse everything I’ve ever published with ease on the Comics page. Thanks for stopping by. If you dig my work, consider supporting me on Patreon, subscribing to my monthly newsletter, or coming to say hello at one of the events listed to the right of this page.